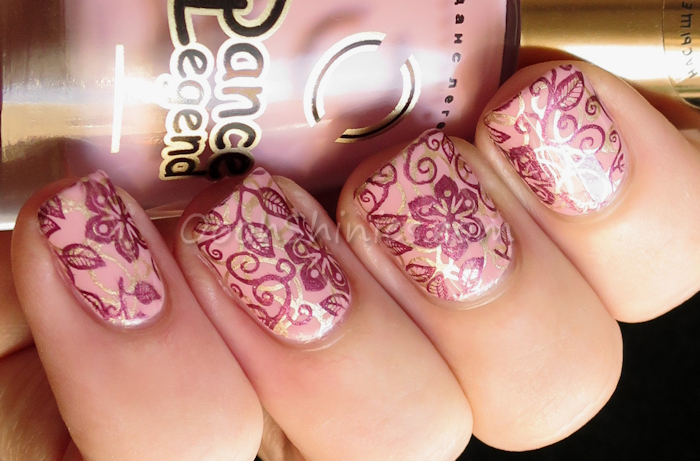 Hey hey :) It's time for a little story, because this polish made me feel quite stupid, haha! I applied this, swatched it, and stamped on it, but while I was photographing the stamped mani, I had some weird reaction and some nails started to color a bit blue?! That didn't match well with the stamping, so I took it all off again, and planned on asking you guys if you knew what could've happened, was it caused by any of the top coats I used and did you ever have such a weird thing happening on your nails? Until I saw other swatches of it and realized it was a thermal polish... Lol! I didn't realize I had such cold fingers the day I swatched it, oops :D To my defense, I can't even remember the last time I wore a color changing polish, that must be years ago! ^^ But of course I did swatch it again and tried out the effect with some help of a cup of tea, so this post is a little bit more packed with photos than originally planned! Howdy! I recently showed you Bogeyman from the Anna Gorelova Winter collection, but the collection has a lot more beauties and I received another one, called Gamayun or Гамаюн. I also received the Binary top coat and have already shared some about it in previous posts, but let's see how it handles a textured polish! 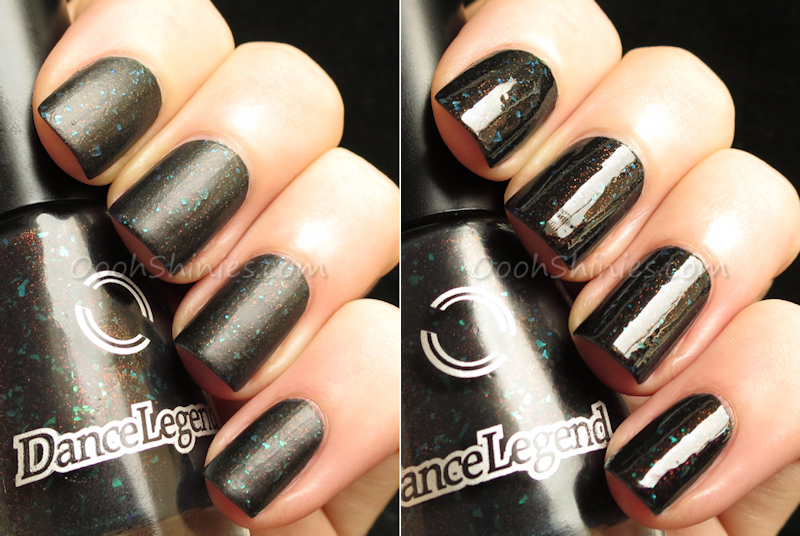 Hey all :) The more I see of Dance Legend, the more I'm loving the brand. We know they make some stunning multichromes, holos and glitters, but the polishes that I used for this mani are a thing I can't remember seeing before. They are polishes from the Top Aquarelle collection, a collection of 12 very sheer polishes, ment for coloring in images. 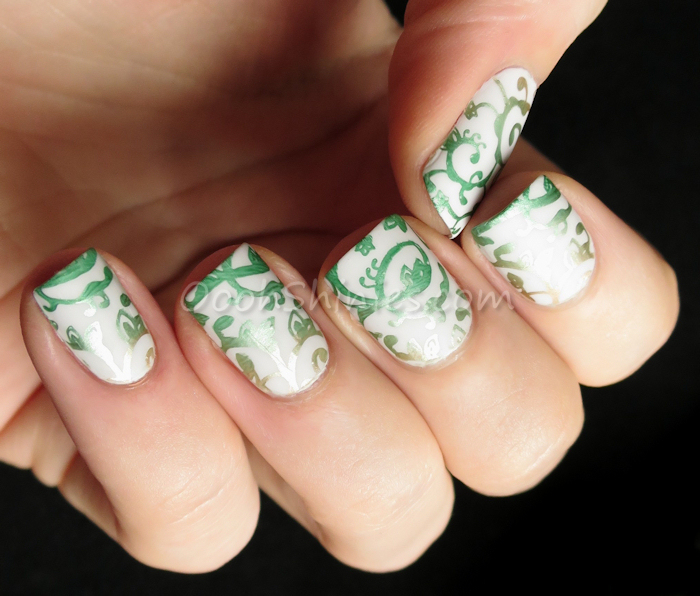 Now at first I wasn't sure about them, I applied them on a swatchstick and after 3 coats they were still more sheer than anything else in my collection, and well, you could use any polish for coloring stamping by making a decal of it, right? But as soon as I tried them on my nails, I noticed they were something else :) Here's the mani, I'll tell more about the polishes further down! 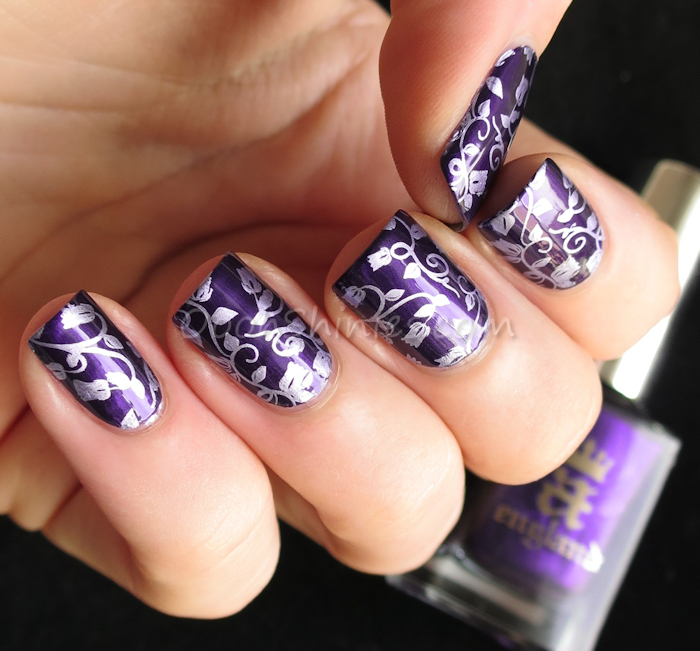 Lately more and more brands bring out fully covered stampingplates with images overlapping each other, and these plates offer a truckload of image variation, because you get to decide what part of the plate will end up on your nail. 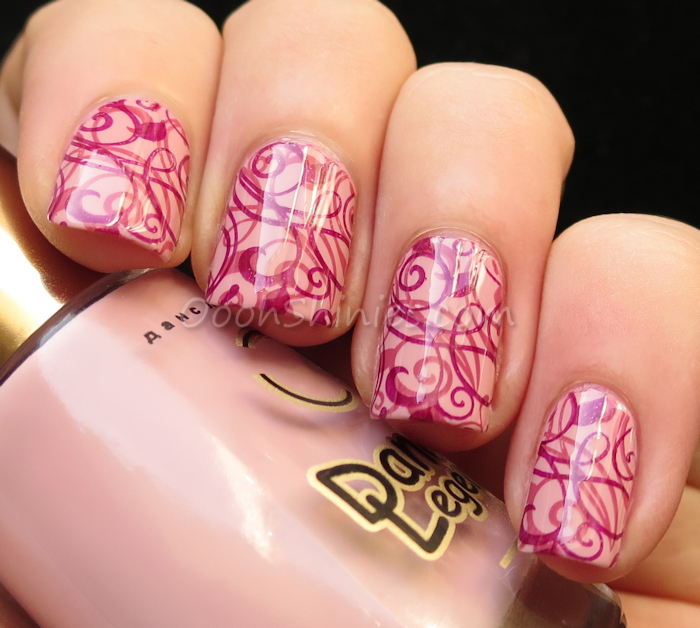 But what's the easiest way to do so, and what if you only want a small image on your nail? 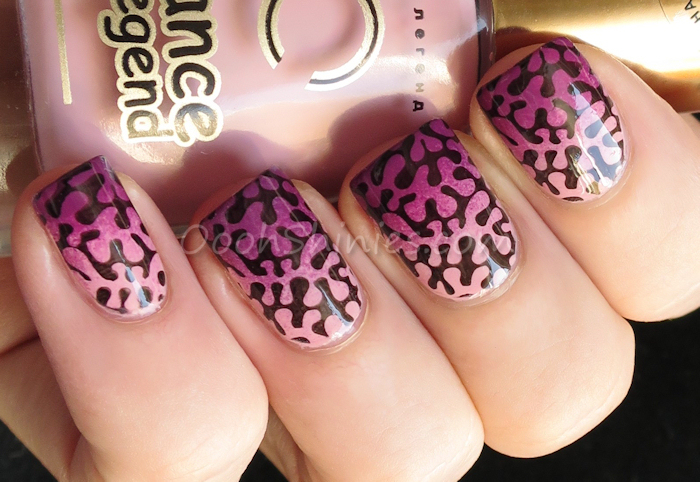 Today I'll show you how I do it :) Starting with a mani for which I used the techniques described below! Good evening :) I just changed the blog a bit, to show more posts on the frontpage, with a preview and a 'read more' option below them. 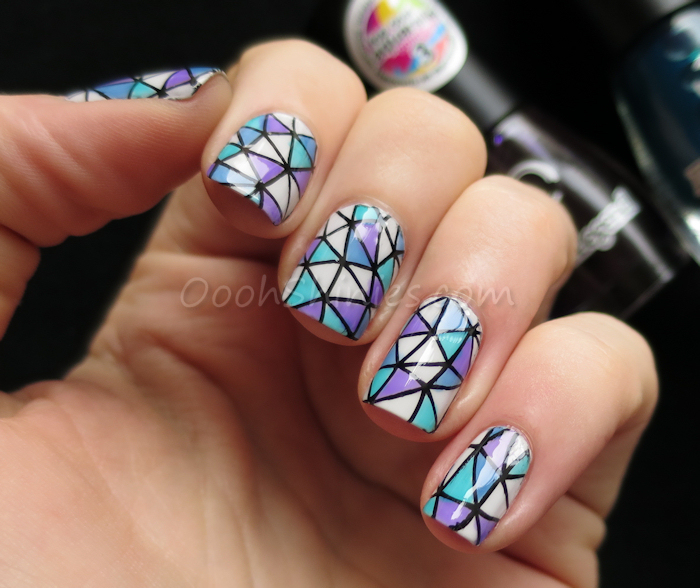 Hope you'll find it handy to see more manis on the frontpage! Today's polish is from the Anna Gorelova Winter collection by Dance Legend, and it's a lovely matte polish. Hi all! 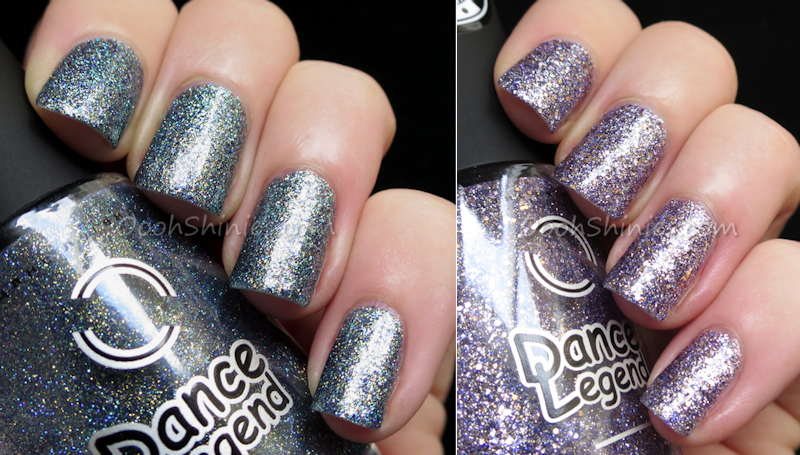 Here's 2 more shades from Dance Legend, this time from their Las Vegas collection. Both of these have a clear base and can be used for layering, but I'm showing them on their own today. They covered in 3 thin coats, and my swatches are with 1 layer of their Binary top coat.